Is society better off with many competing sources of information or a Ministry of Truth that imposes one viewpoint on everyone? NIFLA v. Becerra involves a landmine issue that Downsize DC has never touched before — abortion. And we’re still not touching it! This is a First Amendment case. The State of California has determined that abortion is beyond all debate. The state has targeted CPCs (crisis pregnancy centers). These organizations counsel against abortion and offer pre-birth services to help women bring their babies to term. California requires these centers to give clients a list of taxpayer-funded abortion sites. This “Ministry of Truth” law is called the “Reproductive FACT Act” (hereafter, FACT). FACT compels CPCs to promote the practice they were formed to prevent. The Ninth Circuit Court of Appeals has justified FACT with the suggestion that CPCs are essentially factories of error designed to mislead women. How is it even remotely possible that an organization can be compelled to speak in favor of that which it opposes? 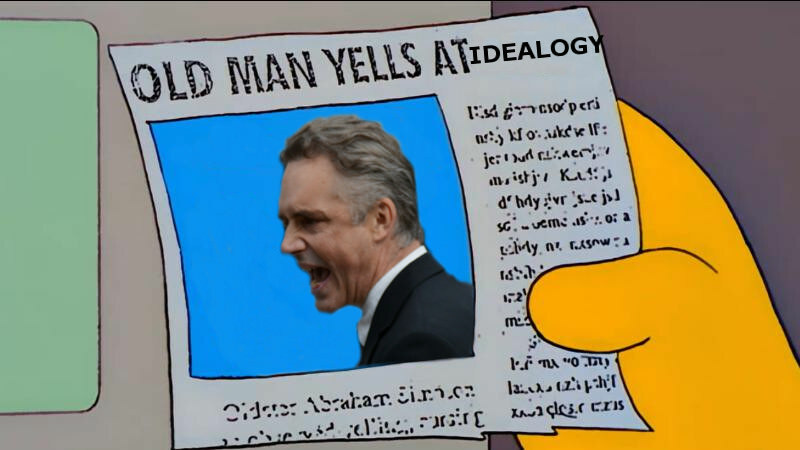 More speech is good for society. We believe that debate is healthy. Arguments are refined by competition. The best ideas tend to prevail! By contrast, a Ministry of Truth approach yields weak arguments, stifles innovation, and ultimately harms society. You do NOT need to agree with CPCs. You do NOT need to be anti-abortion. But if you value free speech, please help us sponsor this brief. Our attorneys tell us that the way the First Amendment has been interpreted over the years is so clear, that the only way we can lose on the issue of “compelled speech” is if the Supreme Court views this as an abortion case, and not a Free Speech case. So our brief will argue based on the First Amendment, and not on the merits or demerits of abortion. The First Amendment is about protecting unpopular speech, including speech that is unpopular with us and/or you. Please also remember our recent strategy message showing how the libertarian view can become the majority position when we make common cause with those who agree with us on the Left or the right. We’ve worked in single-issue alliances countless times, on many issues, in both “factional” directions. We believe coalition work is a strategic imperative. But you have First Amendment rights too. You don’t need to associate with any project we undertake if you don’t like it. You can even be stupid and unsubscribe because you would never side with pro-lifers about anything, even the First Amendment. At this point, monthly pledgers are why we keep taking these cases. Consider joining them! The more pledgers we have, the more aggressive we can be in the courts. But we also need, right now, one-time contributions of various sizes, from small to large. What few people know is that the Supreme Court imposes byzantine printing requirements upon amicus brief filers, that drive the printing costs stratospherically high. Lots of contributions, added up, will cover the court-mandated printing costs for these briefs. P.S. Libertarians propose peaceful persuasion and voluntary cooperation as the alternative to statist threats of aggression. Laws and regulations are not appropriate when pro-social methods such as persuasion, appeals to empathy, and direct action are available, as we explain in the Zero Aggression Project’s “Mental Lever,” What do libertarians propose as the alternative to state coercion? It’s simply anti-libertarian to dictate to any group, even one you disagree with, that they must promote the views of their opponents. While I can certainly lend a sympathetic ear to your case against the government promoting forced speech, I think some of your other arguments are disingenuous. The main issue with these Crisis Pregnancy Centers are that they lie and fraudulently represent themselves as medical professionals. This is not a case of the state stifling healthy debate between parties, they’re stopping organizations from defrauding consumers with deliberately false or misleading statements. That being said, there must be a better way of dealing with this problem. Out of curiosity, would you also be against the inverse of this situation with the “Informed consent” laws? I’m referring to laws that force doctors to show women seeking abortions to view sonograms and hear the fetus’ heartbeat. Surely this is just as bad, right? Dear John, You never specify which arguments (made by us) are disingenuous, confusing me further by the fact that you agree with our case (thank you). Our case was about the legality of compelled speech, and it was “the case” about which we wrote. We strove to be VERY clear that we weren’t entering the abortion debate, and that you didn’t have to like Crisis Pregnancy Centers. If there’s fraud, there must be a victim of that fraud. You can say that the statements are “misleading or deliberately false,” but absent actual damage to you, you cannot do much about it. You have no cause of action in law. The way we’d know there is a victim is that they would be able to demonstrate actual harms that can (at least partially) and justly should be repaired by compensatory damages. They’d take their case to court. And the way we’d determine if damages were actually owed is through due process and the decision of a jury. It is outside the limited powers of the State of California, or any State, to impose a prior restraint on First Amendment rights. Indeed, the State still would lack the rightful power to impose a prior restraint on doctors (the same rule applies). But if we utilized the more natural consumer-controlled governance approach, doctors may well choose to belong to a regulatory board which promotes the safety, efficacy, and ethical standing of their practice. They would be governed by the rules of their board. And it’s incredibly easy to imagine an institution of that sort requiring its members to show pregnant women sonograms. Showing pregnant women sonograms also seems like the opposite of fraud. But we also explained the power of faction in this piece. The solution to an organization you don’t like is first, to ignore it, and if it bothers you so much that ignoring it fails to satisfy your spirit, then organize competition against it. Likewise, ignore speech and publication you don’t like or even compete with it if you must. But the “Father of the Constitution” suggested the remedy for faction is counter-faction. He was correct, and we said so. When you say things like, “the Supreme Court imposes byzantine printing requirements upon amicus brief filers, that drive the printing costs stratospherically high,” I shake my head, because I don’t know if you are talking about a hundred dollars or a trillion dollars. Can’t you just give us an actual number? If not, a range of numbers? Thanks for your time, and your good work. Hey Jim, thanks for the response. I thought I was careful to avoid the abortion debate as well, as I recognize it doesn’t really matter in this context. The main thing I have issue with is “The State of California has determined that abortion is beyond all debate.” CPCs are not “debating abortion”, they act like medical professionals and dole out unsound medical advice to people who are obviously vulnerable. I’d call it fraud, even if they aren’t selling you something physical. What they’re selling is ideology. They’ve been documented doing this in the past using false information, hence the fraud. I could easily imagine a scenario where not only is there a victim, but they would have standing to sue because of actual damages caused. I hope you simply misunderstood my sonogram analogy and aren’t just misrepresenting it. I’m not saying showing pregnant women sonograms is fraud, far from it as you said. I’m saying that the state forcing doctors to show sonograms without a medical reason is compelled speech. I brought this up because I think it’s a good litmus test to ensure that your values are truly blind to justice and not partisan to the abortion debate. This whole issue caused me to think about this a lot, and it’s a complicated issue for a big free speech supporter such as myself. I support the right of others to say offensive things that disagree with my view. It’s tough because a CPC is the logical extension of people organizing together to form a counter-faction. My big issue is that they are not medical professionals, yet they give medical advice. I wouldn’t have an issue with them if they were a group of protesters, or a store that sold pro-life shirts. If this is a free speech issue, I think it can be stretched to the extreme to say that any company that lies about their product is only practicing free speech and not defrauding people. In this view, both CPCs and any other company can brush off fraud claims and tell consumers to do their own research before buying their misrepresented product. Contrary to the two comments above, there are many crisis pregnancy centers that are directed by physicians. Those that aren’t may need to find a solution for that glaring problem. The problem with the two comments is this, if the law simply required the centers to make clear they are not directed by a physician if they are not, and state that they would refer to a CPC that is if requested, that would be legitimate. But to require them to ‘advertise’ for Planned (un) Parenthood is a violation of their First Amendment rights to free speech and association. I imagine there are time you will side with both liberal and conservatives, as long as it involves the defense of smaller government and natural rights. A tip of the hat to you for all you do.